Once a signifier of convenience and thrift, canned beer has been reappropriated by craft brewers as the container of choice for premium suds. The trend toward cans, which Oskar Blues Brewery championed when it launched Dale’s Pale Ale more than a decade ago, grew slowly at first but has since snowballed, and beer geeks can’t get enough. 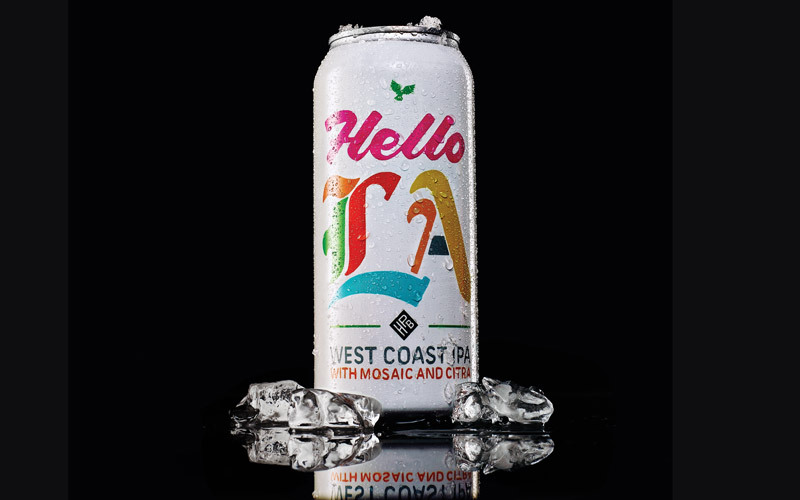 In L.A. established craft breweries and start-ups alike now offer attention-grabbing cans of some of the best beer in California. Eagle Rock, like more than two dozen other Southern California breweries that don’t have canning equipment, relies on a third party called the Beer Monks for its packaging. The mobile service comes to the brewery, unloads the can filler and seamer from its truck, and hooks up to the brewery’s tanks. In a few hours hundreds of gallons of beer are in cans. To help meet demand, the Beer Monks is adding a second canning line. Highland Park Brewery and downtown’s Mumford Brewing use the Beer Monks for special-release IPAs. When Monkish Brewing in Torrance shares details of its latest IPA release on Facebook and Instagram, it might sell through a couple hundred cases of cans in an afternoon, and the popularity has allowed Monkish to purchase its own canning line. The can itself helps differentiate brands, says Thomas “Lee” Bakofsky, Eagle Rock’s packaging manager. There’s no blank space as on the neck of a bottle, and aluminum’s sheen adds depth to the designs. Bakofsky wants his labels to catch your eye every time you open the fridge, compelling you to crack open a(nother) can.